This week’s bulletin headlines with some key disputes on the trains and buses in the UK and Ireland. 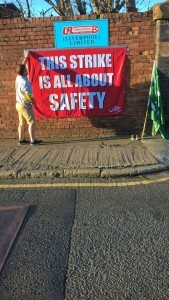 Next week, RMT members will be on strike in five rail companies against Driver Only Operation (DOO). For the 3rd time, Southern Rail management have put a divisive offer to train drivers. We call on ASLEF members to again reject this offer and open the way to joint action with the RMT, who have now called strikes against DOO in five train operators. Busworkers in the North West have started series of 24 hour strikes and the planned action at Arriva North West buses next Wednesday will link up with the RMT DOO strikes on Merseyrail and Northern Rail/Arriva Trains North. And today, strike action begins on Iarnród Eritrean/Irish Rail. 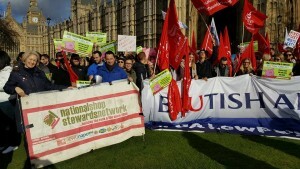 The NSSN also salutes the heroic struggle by Mixed Fleet cabin crew who after 85 days of strike action have forced a settlement from British Airways. 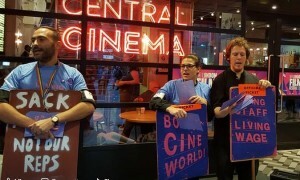 We also highlight another long-running dispute by low-paid workers, this time by London cinema workers at Picturehouse. Support DWP strikes in Sheffield and Plymouth – Workers had already taken 26 days of strikes at Sheffield Eastern Avenue jobcentre but started indefinite action last Monday after DWP management announced that they intend to close it on November 17th. PCS consultative pay ballot – the consultative ballot on the pay cap and whether members are prepared to take industrial action to protest against it, opened on October 9th and runs from Monday, 9 October to Monday, 6 November and you can vote by post, email or phone. downloading a poster and leaflet from the campaign page on the UNISON South West website.